Ryan Fitzpatrick is a trivia hunter’s dream in many ways, a veritable Walter Mitty in shoulder pads and cleats. A Harvard graduate who seemed unlikely ever to see the field in the NFL, the Rams grabbed him with the 250th pick in the 2005 NFL draft. For reference, Tom Brady, the poster child for unheralded-to-all-time-great in professional sports, was selected 199th in 2000. An inspiration? Fitzpatrick’s oldest child is named Brady. Their careers, however, have been a bit divergent. Brady took over for injured franchise quarterback Drew Bledsoe in 2001. Since, he has led the Patriots to a 5-3 record in Super Bowls, winning the MVP of the title game a record four times. He has started 298 games for New England, including playoffs. Fitzgerald did not stick with the Rams. He has been the starting quarterback with seven different teams. I don’t know if that’s a record. A brief search came up with clipboard aficionado J.T. O’Sullivan suiting up for ten different teams, but he only started games with one of them. This year, Fitzpatrick is in his second season as backup in Tampa Bay. Because starter Jameis Winston was suspended, Fitzpatrick led off the season. He threw for 400 yards in the team’s first three games, which is apparently the first time any NFL quarterback has exceeded 400 in three straight games. In the fourth game, a blowout loss at Chicago, he suffered a quick hook and Winston returned. Only to struggle so much himself that Fitzpatrick relieved him in week 8 and has started the last two games. At 3-6, however, the Buccaneers are not playoff material. There is apparent magic in the quarterback nicknamed “Fitzmagic.” His career record as a quarterback is 53-72, which is remarkable only that quarterbacks with sub-.500 records almost never reach 50 career starts, let alone 125. He’s in the same company as names synonymous with mediocre, like Steve DeBerg and Jim Everett. His 190/145 career TD/Int ratio is ugly for a 21st Century signal-caller. He has never thrown a pass in a playoff game. The magic lives on, however. In press conferences these days, he looks like his inspiration is Conor McGregor rather than Brady. He performs a ritual “beard rub” with fellow long-beard and backup offensive lineman Evan Smith before each game. But don’t mistake the shtick for stupid. He apparently scored an all-time league quarterback high of 48-of-50 in the Wonderlic test given annually at the NFL Combine. in the 316 instances in which a quarterback has thrown for 400 yards in the modern era (since 1974), they are an even 156-156-4. It’s Tampa Bay’s grand total of 3 points that had me shaking my head. The average team with a quarterback throwing for 400 yards scores 32 points. But many of those games are shootouts with late comeback attempts, so the passing yards and points accumulate. I struggled to find any instance in the last 45 years where a quarterback threw for 400 and the team failed to reach the end zone. Only three times in all those years has a team been held to less than 13 points and yet their quarterback threw for 400 yards. In all three of those games, the losing team did not score a touchdown. 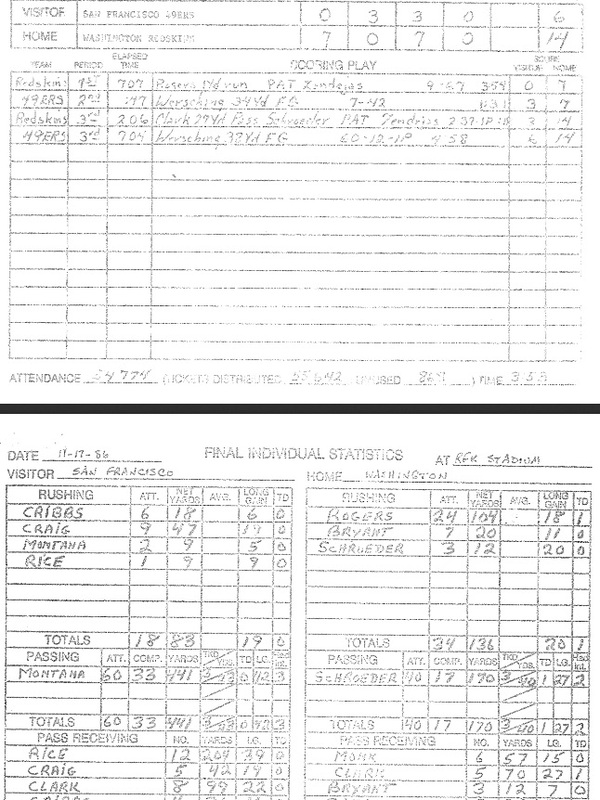 I’ll include part of the box score for the first instance, because the quarterback who did that in San Francisco’s 14-6 loss to Washington in week 11 of 1986 is fairly famous. In the divisional playoffs after the 1988 season, Randall Cunningham threw for 407 yards in Philadelphia’s 20-12 loss at Chicago. And, now, in week 10 exactly 30 seasons later, here’s Fitzpatrick throwing for 406 as his team scored only 3. Sometimes magic amazes for the wrong reason. That doesn’t change the legacy of a fascinating career.